Yes, we can start to say the words “Merry Christmas”! Congratulations – This week goes to the kapa haka performance last Friday at the Tu Maia Festival hosted by Dairy Flat School. 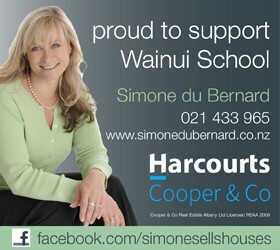 Special thank you to Whaea Lee-Anne for her work this year. The kapa haka excelled at the festival with an amazing performance. Special shout out to Caroline, Ty , Reilly and Chalise as the leaders. We look forward to your last performance at Prizegiving next week. Congratulations – To everyone who performed at last week’s Music Performance. What an amazing morning of talent we all experienced. 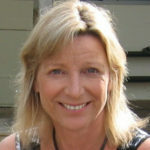 We are so fortunate with the calibre of our itinerant music teachers Maria O ‘Flaherty, Ross Hutchison and Pete Warren. All are professional musicians themselves and very talented. We were treated to an impromptu performance by the three, thank you. All pupils who performed displayed confidence and talent, we were so proud of you all. If you wish to have music lessons next year do not hesitate to contact the tutors as they are always willing to discuss your needs. Congratulations to the Masterchef Finalist!! – Last Wednesday we had a wonderful afternoon watching and cheering the finalists making a toastie (juniors) or a burger (seniors). The winners were: Intermediate Champions – Seth Mothersole and Caleb Waller, and the Supreme Champion and also Junior Champion was Joseph Matthews. 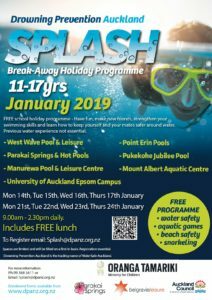 Thank you to our judges, Jackson Robinson (yr 11 Orewa College), Anissa Gilpin, (mum of Caroline) and Caroline Gilpin, student councillor and chief organiser of the competition. Congratulations – To all the competitors at the Year 5&6 Interschool Athletics last Tuesday. It is time to return all library books, readers, and anything else that may have strayed to your home. Please pick up lost property, we have a big pile of washed ‘lost’ clothing in the office. It will be donated to hospice if unclaimed. See you all on Thursday at Christmas in the Country. Pool Keys – This year pool keys are $60.00 a key. This entitles you to use the pool after school, at weekends and in the holidays. There is a contract for you to sign on purchase of the key. Please ensure you have read all the rules carefully. The pool will be open very soon, Mr Lee is working hard to get the water right and has ensured the area is clean and safe to use, thank you. Responsible 15-year-old Girl (school family) is available for child minding, babysitting, cleaning, wrapping presents etc. $10 per hour. References available. Contact 021 123 6871 for more info. Wainui Stars (Yr 2) vs Greenhithe Sparklettes. Won: 17 -1. POD: Emilie Kerr and Capri Fairhurst. Wainui Comets (Yr 3&4) vs Forrest Hill Kea. Won: 13 – 1. Sportsmanship: Caitlin Bailey and Lily Haswell. Wainui Rockets (Yr 5) vs BBS Emeralds. Won: 8 – 4. Sportsmanship: Cori Mothersole and Talia Minton. 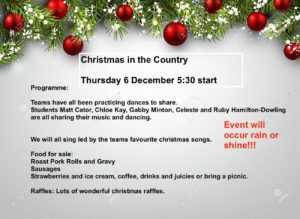 Thursday 6th December – Christmas in the Country – 5.30pm. Friday 7th December – Yr 5-8 Athletics Prizegiving – 10am (straight after the Takahe Assembly). Friday 14th December – Farewell Assembly – 2pm – Please note the change of time. 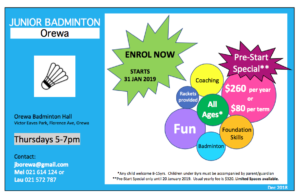 Thinking Caps are taking bookings NOW for holiday lessons and Term 1 2019. 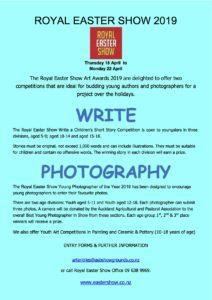 Click AUCKLAND DISTRICT PRIMARY SCHOOL AGRICULTURAL PET COMPETITION 2019 for the information about showing your pet lamb or goat at the Royal Easter Show.